Papermania’s Create Christmas returns ready for the festive season and bursting with all your yuletide crafting essentials. This pack contains 6 polystyrene baubles approx. 7cm each with silver thread attached. 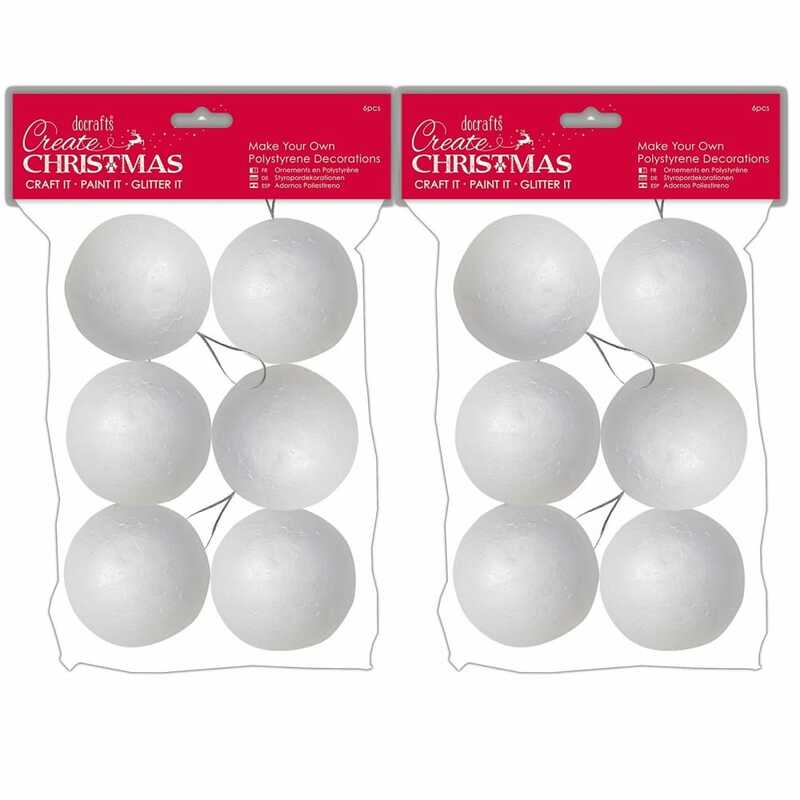 A perfect base for creating your own Christmas decorations. Simply decorate and hang.